Tucked away in a far corner of northwestern Ontario is the breathtakingly beautiful St. Raphael Signature Site. Named after the patron saint of travel and good health, the remote 153, 000-hectare site encompasses St. Raphael Provincial Park and the Miniss Enhanced Management Area (EMA). 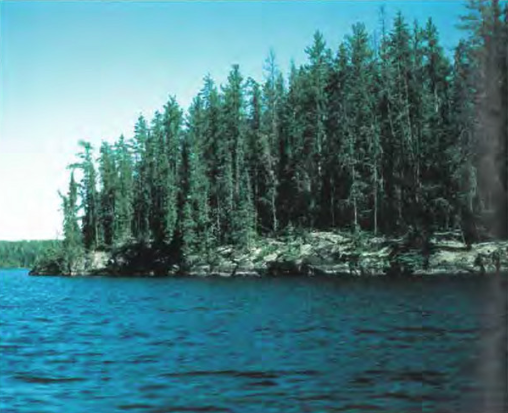 Within the park and EMA boundaries lie some 400 lakes and 2,500 kilometres of shoreline. Bowater Canadian Forest Products Inc., based in Thunder Bay. Bowater is considering logging in the area, which contains important winter habitat and calving sites for the threatened woodland caribou, in addition to nesting grounds for bird species such as sandhill crane, bald eagle, herons and osprey. 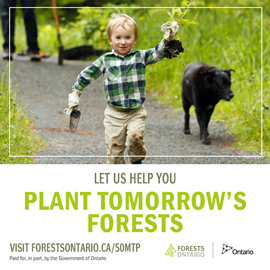 In 2002, a coalition of conservation groups, including Ontario Nature, submitted a request to the Ministry of the Environment for an environmental assessment that would focus specifically on the Caribou Forest Management Plan. 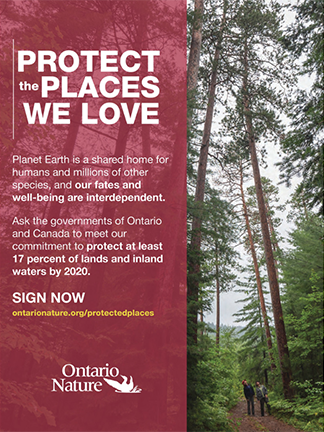 “Ontario Nature and its conservation partners were very disappointed when the Ministry of the Environment turned down the request for an environmental assessment in this extremely sensitive and controversial area,” says Julee Boan, GIS and protected areas coordinator with Ontario Nature. “Furthermore, our experience in other parts of the province has shown that responsible industry players recognize the value of negotiated solutions. We remain hopeful that Bowater and the Ministry of Natural Resources will find a resolution to the ongoing St. Raphael conflict,” adds Boan. Adding to the complexity are ongoing protests by a group of women from the Mishkeegogamang First Nation. Early ancestors of the Ojibwa have been present in the area for at least 1,000 years. According to a Thunder Bay Indymedia report, community members are not seeking financial compensation from Bowater or the Ministry of Natural Resources. They feel that no amount of money can outweigh the destruction of their traditional territory and way of life.